Anchorage K-9 officer Jake Nichols returns home for Christmas to recover from the accident that almost killed him—and find a little peace and quiet. But those plans are shattered when his childhood friend Rachel Hart gets caught up in a drug-smuggling ring after her aunt is brutally murdered. Jake quickly discovers that Port Aurora is no longer the tranquil little fishing town he left behind. He promises Rachel that he’ll stick around until he tracks down the killer—and vows to protect her at all costs. 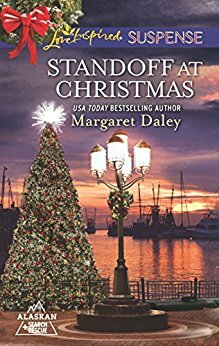 Both of their lives are in peril as he battles against the Alaskan winter, a ruthless criminal…and his developing feelings for Rachel.